Minnesota Destinations Now Online - Midwest Sports Publishing Network, Inc. 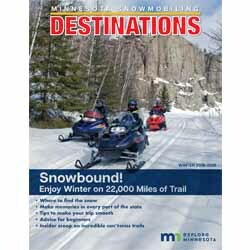 This year’s Minnesota Snowmobiling Destinations is now online, for free digital download. Take a look for regional information and trail highlights, major events, new trail developments, info on the clubs who support the trails, and so much more.